Blog | Helping Hands Healing Ministries, Inc. | Bringing hope and healing to the ends of the earth. My husband Mike and I were blessed to have the opportunity to visit Pwoje Espwa Sud near Les Cayes, Haiti from July 31 to August 3, 2014. The goal of this first trip was to learn more about this community. The focus of our visit was to become familiar with the medical and water needs of this Haitian village. We must say that we were well received and were able to gather some good preliminary information on this first visit and I believe that with the grace of God we will be able to be of service. Following are some facts that we learned thanks to Rachel Vinciguerra and Kelsey Ullom who are the Guest House Managers and Fr. Marc Boisvert, Founder of Free the Kids, which is the foundation for Pwoje Espwa Sud. Pwoje Espwa Sud is a village on 125 acres of land about 20 minutes from the city of Les Cayes and is fondly known as Espwa which in Creole means hope. 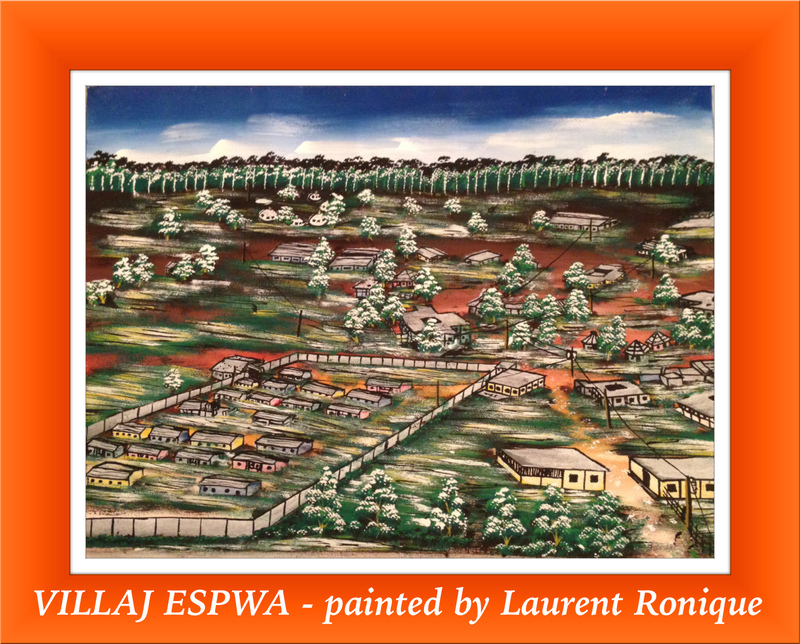 For an inspiring story about the founding of Espwa please visit Free the Kids. Villag Espwa has boys and girls dorms, a preschool and primary, middle, and upper schools. They have a vocational school as well. On the grounds there is also a church, medical clinic, administration buildings, farm land, pastures for goats, pig stalls, and several water wells. There are approximately 600 children from ages one to 18 that are residents at Espwa and an additional nearly 400 children from the surrounding areas that attend schools at Espwa. The medical clinic is a spacious building with a pharmacy, waiting room, laboratory, nurse triage room, 2 doctors offices, and 10 exam rooms, including an x-ray room and procedure room. The clinic has its own treated water source and even has video-conferencing capabilities! The Medical Director for the clinic is Dr. Cynthia DeSoi, an American doctor. She helps coordinate medical and dental teams that volunteer their services at the clinic. There is a local Haitian doctor, Dr. Pierre, who sees patients at the clinic on Mondays, Tuesdays, and Thursdays from 9 am to 11 am. There are 3 local Haitian nurses that work in shifts to provide 24-hour coverage for the clinic. On our next trip we look forward to meeting Dr. Pierre and Mme Joseph, the head nurse for the clinic, to see about helping resume well child care for the children and coordinating additional medical teams to help out at the clinic. We would also like to learn more about their medical records system and find ways to potentially improve it and make it available on the Internet to volunteer physicians for remote consultation. On-site video-conferencing is a new and exciting tool that will allow specialist services to be available remotely. We look forward to learning from Dr. Pierre about the needs that volunteer physicians can supply. As for the water supply, the primary source is groundwater with 5 wells in operation. The water is not potable but sufficiently safe for most uses. Drilling for a new well to expand irrigation is currently underway. We look forward to learning more about how the water and sanitation needs are being addressed with projects planned and underway. We wish to say a big THANK YOU to Fr. Marc Boisvert, Rachel Vinciguerra, Kelsey Ullom, and the Espwa staff for their warm and welcoming hospitality! To see this blog with pictures, please visit Dr. Margie’s Blog.